The combination of corresponding elements and tones can release a powerful energy that opens the door to a new world of health, luck and happiness. 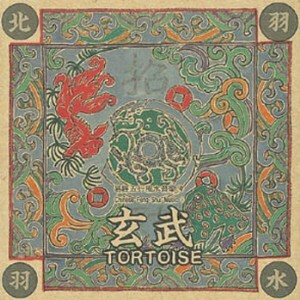 Tortoise represents "the god of the north", associated with the element of water and with "yu" of the five Chinese tones. It is believed that its soothing and tender music can soften one's excitable temperament, create possibilites for wealth, and prevent fatal dryness caused by an excess of the metal element.